The UK’s Competition and Markets Authority CMA said on Wednesday it decided that the proposed merger between SSE Retail (SSE) and Npower can proceed, following a thorough review. 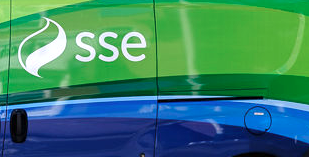 Perth-based energy giant SSE said last November it agreed to demerge its household energy and services business in Great Britain with Innogy subsidiary Npower to form a new listed UK company. The merger will create Britain’s second-largest retail power provider, with a roughly 23% market share – behind Centrica’s British Gas with 27%. It would also reduce the “Big Six” power providers to five. SSE and Npower combined will have roughly 11.5 million customers, behind British Gas which has more than 14 million customer accounts. Innogy will hold 34.4% of the combined retail company while SSE will demerge its stake of 65.6% to its shareholders. A group of independent CMA panel members investigated how the merger would affect householders. The group specifically examined competition concerns around how the deal would impact “standard variable tariff” (SVT) prices. “Following a period of consultation, the CMA has decided to clear the merger after finding that SSE and Npower are not close rivals for customers on these tariffs,” said the CMA. Anne Lambert, chair of the inquiry group, said: “With many energy companies out there, people switching away from expensive standard variable tariffs will still have plenty of choice when they shop around after this merger. “But we know that the energy market still isn’t working well for many people who don’t switch, so we looked carefully at how the merger would affect SVT prices. The CMA found that the number of people switching energy provider is the highest in a decade and the proportion on SVTs has fallen, with customers usually switching to a cheaper, non-VT, tariff. However, as those who do not switch are usually on one of the large energy suppliers’ already expensive SVTs, the CMA carefully examined whether the merger would change how larger suppliers set these prices. It found that SVT prices are mainly driven by changing wholesale costs, but the large energy suppliers take account of each other’s tariff changes when choosing the size and timing of their own. The CMA added: “Bad publicity from being the first to increase charges or make bigger increases means more of their customers switch away. “The CMA therefore carefully considered whether a reduction in the number of large suppliers would encourage larger or earlier tariff changes. “It found that in this case SSE and Npower do not pay special attention to each other, consistent with the evidence that they are not close rivals for customers, who instead prefer to move to other suppliers.